It’s Election Day — so what better time to address a forage topic that is wrought with opinion, controversy, and conflict. Recently, I had a producer from Idaho call me to bemoan the fact that they lost a hay sale to a dairy in California because their Idaho lab was 40 points higher in RFQ than the dairy’s preferred California lab. “It was the same sample,” the hay producer said. Let’s begin by acknowledging the fact that forage testing is not a joke. It has totally changed the industry and is at least partially responsible for the gains made in livestock production during the past 30 years. Those who lived through the years of judging forage quality by kicking wagon tires and chewing on stems know what I mean. Also, recognize that the largest source of error is in the sampling process and that’s not what we’re discussing here. There are plenty of good reference materials that clearly define proper protocols for sampling hay and silage. If you don’t follow them, the subsequent forage test will never be correct. That’s on the sampler, not on the forage labs. Nearly all labs and the industry in general want to get it right. There is a National Forage Testing Association (NFTA) that certifies labs each year based on procedures and forage test sample results. There is also a NIRS Forage and Feed Testing Consortium that supports labs in their ability to obtain accurate results from NIRS testing. The point is that reputable labs and the supporting infrastructure have a stake in obtaining good results and not just acting as a random number generator. So why do we get different results? Let’s begin with the concept of “same sample.” How “same sample” is defined becomes crucial to this discussion. Here’s a look at the options. Same lot of hay sampled twice: In this case, a hay lot or silage is sampled and bagged, and then the process is repeated and a second set of samples is taken and bagged. These two samples are not the same, even if proper sampling procedures were followed in both cases. They are two samples from the same forage lot, but they are not the same sample. Two subsamples are taken from the same parent sample: Here, the lot of hay or silage is sampled, and then two samples are taken from that larger original sample. The two subsamples are still not the same sample even though they both came from the same parent sample. Same as previous, only the original sample is dumped and quartered: Though this might be a recommended technique to reduce the size of a large parent sample (especially for silages), grabbing two of the quarters and sending them off to different labs still doesn’t constitute the same sample. Both leaf and stem composition are likely different. Send one sample to lab, and then they send whatever remaining forage material they don’t use to a different lab: Once again, not the same sample. Send one sample to lab, entire sample is ground, mixed, and then split to forward one-half to a different lab: Bingo . . . these are “same samples,” or about as close as you can get. Most forage labs are more than willing to send the split, ground sample to another lab, and this is the only way to make a reasonable comparison between two or more labs. In most cases, you won’t see errors beyond those inherent with lab technique precision, unless one lab is using significantly different lab procedures or NIRS equations than the other. Even if you have the same dried, ground, and mixed sample analyzed by two different labs, results may still vary. For a metric like neutral detergent fiber digestibility (NDFD), labs will often differ because the in vitro wet chemistry procedure uses rumen fluid and not all rumen contents are created equal. As such, the NIRS calculation for NDFD will likely show the same bias as a lab’s wet chemistry. Some measurements such as dry matter, crude protein, acid detergent fiber, neutral detergent fiber, and ash should not vary significantly between reputable labs. If they do, verification with wet chemistry is probably needed. It can be frustrating when two forage testing labs return different forage quality results, especially if it means a lost sale. Though compared results will never be perfect, they should always be within an acceptable range of error assuming a “same sample” was submitted. Over the past years, here’s the approach I’ve always suggested when it comes to forage lab business relationships. 1. Find a lab you’re comfortable working with and that you know reports accurate, consistent results. Stick with that lab for your forage testing needs (sales or feeding) so that you can make valid forage quality comparisons over time on your own forage production. 2. 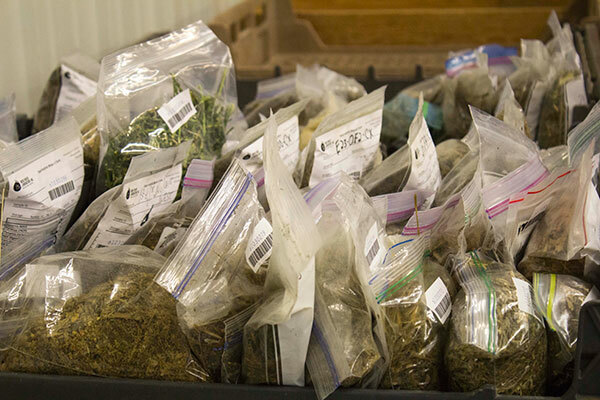 If a buyer insists on a forage test from a different lab, only compare results from dried, ground samples. Have this done lab to lab. It’s the only way to make a “same sample” comparison. If the results are vastly different and you want to pursue a next step, wet chemistry remains an option.